TARUN DAVID | OK Listen! 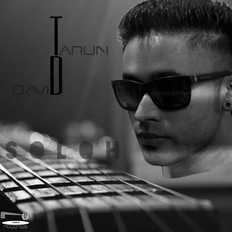 Tarun David (TD) is an Actor/Musician/VOA and Filmmaker from India.Born in the hills of Mussoorie, up North, the surreal blanket of NATURE etched a concrete yet flexible perception of LIFE & its contents upon his soul. As he moved around the country, each city, its culture, language, music, etc continued to acquire a special place and assisted towards shaping the ever evolving soul that dictates his daily existence. After his first stage performance at the age of 7, Tarun continued to pursue and execute a wide range of performance based acts through school, college etc. His journey included multiple accolades and recognition, which inspired him to reach out for MORE. He spent a year in England, studying for his Masters in Tv Production, but soon after graduating, decided to return to India, as the zeal to contribute to the industry here was ever so appealing. The first 'commercial' opportunity came to being in the form of a supporting role in a Canadian feature film, Little Terrors, starring Om Puri(Gandhi, East is East). This venture set up a concrete base and opened the door to the path that leads towards acquiring every dream he's ever dreamed of. After the completion of the entire shoot schedule, Tarun soon found himself on the way to Mumbai, wherein an additional set of flavors and scenes proved to be an ideal jump-start to exploring further in terms of creativity. Eventually, his stay proved worthwhile and included a chain of musical performances around the city; the acoustic sets comprised a mix of cover songs and 'impromptus' compositions that encouraged interaction with each audience member, thereby assigning a certain degree of exclusivity to the overall aura present during these events. Amidst each passing second,an array of meetings and flights, Tarun began to build a library of original compositions across varied formats and genres, as the mission to share his music with the world took top place in a list of priorities. His debut album, SOLOH, stands as testament to the philosophy of being truly "Independent", as the entire project was created on a laptop, using a mix of virtual and real instruments, and a portable audio interface with a pinhole mic. It is with this hunger that he plans to strive in view of reaching out to every soul across the globe. TD is here to stay!